Assumpta Est Maria by Sr. Marjo Matias, r.a. 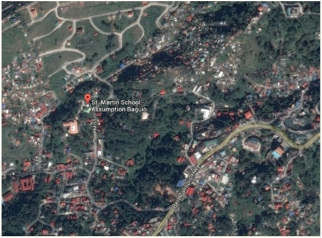 The St. Martin’s School in Baguio City founded in 1964, serves 300 children of cultural minorities in the Mountain Province by providing various programs for skills development, formation in the faith, and building Christian communities around the area. It is the only elementary school in the country with an integrated inculturation program whereby focus is given in preserving the culture and values of the Cordilleras.